Nestled at the end of a cul-de-sac, this one-of-a-kind estate is an absolute treasure of the renowned huntington harbour. Featuring breathtaking panoramic water views and a massive double lot of 11,000+ sf, this dream home is ideal for both relaxing and entertaining. The interior offers an abundance of natural light with large windows and accordion doors which flawlessly integrate indoor and outdoor living. Stunning oak floors cover the living room and formal dining area. Enjoy the marble-floored gourmet kitchen with top-of-the-line thermador stainless steel appliances and granite counters. Downstairs you will also find a secluded guest room with easy access to an expansive patio overlooking the water. The open floor plan throughout the lower level seamlessly connects the living and dining rooms to the private, expansive yard which presents unparalleled water views. Your personal backyard oasis offers extensively manicured landscaping & 3 boat docks of approx. 90 ft. , 76 ft. , & 40 ft. Entertain family and friends on the raised porcelain tiled deck complete with a built-in bbq & bar. Enjoy breathtaking sunset water views at either of the two fire pits. Back inside & up the spiral staircase, you'll find 4 bedrooms, including the palatial master suite, complete with 2 separated dressing rooms and a magnificent master bath. There is no other property quite like this, bringing a new meaning to luxurious waterfront living. 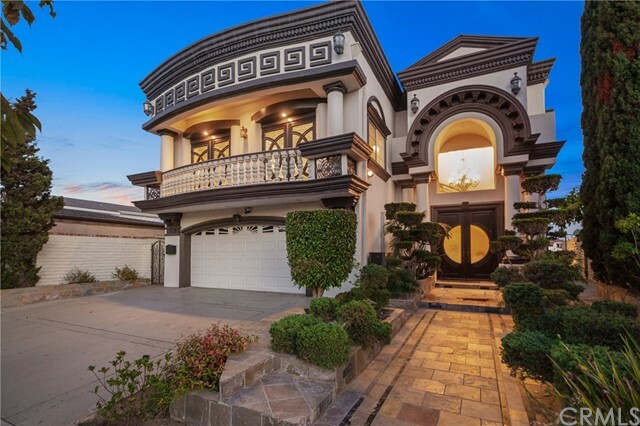 This incredible estate is a true gem of huntington beach. This breathtaking estate located in the prestigious coral cay community gives a new meaning to waterfront luxury living. No corners have been cut in this exhaustive renovation, as every square inch has been flawlessly upgraded with incredible attention-to-detail and the finest quality of craftsmanship. Your private front gate leads you to a stunning resort-style pool and spa, offering the perfect spot to enjoy a sunny day or spend time with friends and family. The lower level of the home is adorned with gorgeous provenza wood floors, which are beautifully complemented by the elegant stone fireplace in the living room with towering vaulted ceilings. An elegant cape cod style has been effortlessly fused with modern design and architecture, showcasing exquisite marble flooring and quartz countertops throughout numerous rooms and custom features throughout. The bright and airy kitchen is a chef's dream, offering a large quartz island, custom backsplash, a double oven, and premium viking appliances. The sliding doors off the living room lead to the back patio with remarkable harbour views and your own private 30 ft. Boat dock! The spiral staircase leads to the second level of the home, housing four spacious guest bedrooms and a truly stunning master suite overlooking the water, and a serene master bath adorned with custom marble flooring and counters, a walk-in shower, and a separate soaking tub. This meticulously maintained and elegantly designed home is a waterfront paradise. Stunning humboldt island waterfront house, with private boat dock, formal living and dining rooms, gourmet granite kitchen and state of the art appliances. House features family room, bonus room, den/office, massive wall of granite surrounding the fireplace, underground wine cellar, large waterfront deck, southern exposure. This house is one of the largest in the area! The owners can enjoy the annual huntington harbor boat parade right on the backyard/deck. Premiere location on main channel with spectacular main channel view! Opportunity to build your dream home on the waterfront in huntington harbor! 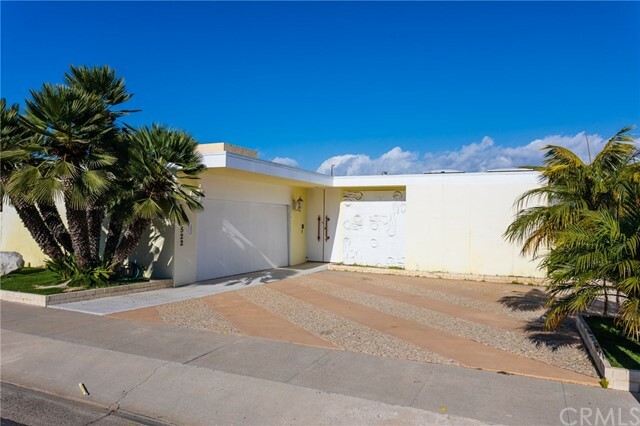 This home boasts approximately sixty feet of water frontage with private docks! Look no further to own a waterfront estate with 85' of water frontage on humbolt island with amazing views and location! Desirable end of cul-de-sac location has expansive patio and balcony offering breathtaking views of christiana bay. The private dock could be expanded to 80' to accommodate larger vessels. 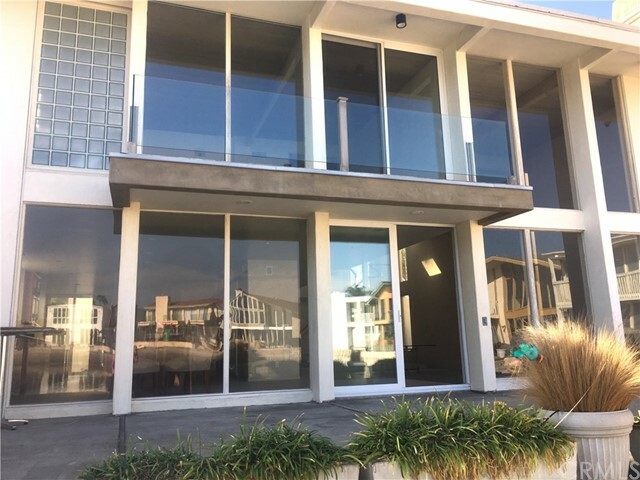 Spectacular "panoramic windows" combined with chic mid-century modern architecture exposed post and beam construction, vaulted ceilings, skylights and soaring entry creates an open floor plan to take in the mesmerizing water views. The highly desired south facing exposure makes you feel like you're on a ship! The spacious formal living and dining areas feature a flow-thru stone fireplace to a wet-bar and office/retreat. The gourmet kitchen offers a breakfast nook, center island, newer cabinets and sliding glass doors to the massive waterfront entertainment patio, fire pit and tranquil bay. The large bay front master suite with balcony, vaulted ceilings and stone fireplace is the perfect place to relax and take in the "jaw-dropping" views. A large game/bonus/media room, library or office upstairs is the ideal retreat for family or guests. A great home to entertain & enjoy a front row seat at the annual hh boat parade. Make this coastal lifestyle your home today! Welcome to this breathtaking custom waterfront estate—which boasts a coveted humboldt island location close to the main channel—is back on the market, promising the unique opportunity to indulge in a lifestyle of distinct luxury. Spanning approximately 4,000 square feet of living space and showcasing stunning unobstructed views of the huntington harbour, it offers a host of opulent creature comforts, along with elegant european architecture, soaring ceilings, luxe marble flooring, a statement staircase of wrought iron, and a dock with space to accommodate a boat approximately 45 feet in size. What's more, thanks to extensive recent upgrades, the entire living experience feels top-of-the-line: travertine and marble baths lend to luxurious relaxation, while a granite clad gourmet kitchen—replete with professional-grade stainless steel appliances—pairs nicely with a formal dining room to create the ultimate setup for entertaining guests in style. Soaring ceilings are the perfect complement to the abundant natural light that spills in through the home’s many windows, as is the wall of eight french doors that offers a dramatic entry to a charming slate deck overlooking the harbour. A total of four bedrooms—including two spacious master suites, one of which features a balcony from which dreamy sunset views are enjoyed—render this exquisite property as practical and versatile as it is gorgeous. Welcome home! Spectacular resort style living at this waterfront property in huntington harbour. Enjoy being one of fourteen homes on humboldt island which has a private beach and 30ft boat dock. With over 3,218 square feet, 4 bedrooms, 3. 5 bathrooms, the large and open floor plan is ideal for entertaining. Large master suite overlooking water. Balconies off all bedrooms. Formal living and dining rooms, separate family room, side courtyard. Wonderful views. Lovely ocean breeze with bay out front. Gourmet kitchen. Escape in the large master bedroom and enjoy the oversized bathtub and separate shower. Attached 2 car garage. Situated on a double corner lot in the guard gated community in faire marin, step inside this traditional california custom home. The palatial estate boasts a classic floorplan, with a grandiose master suite abundant with elegance and style. Fully functional as a single story this house showcases three added bedrooms and a library/office on the main floor. Head upstairs to discover the massive bonus room with a bar, half bath and an added enclosed bedroom. This is the ideal entertaining space for games or a theater room if desired. The backyard offers privacy and a tranquil and serene spot to relax poolside and host guests. Prepare gourmet meals in the extra large chef’s kitchen with upgraded appliances and spacious walk-in pantry. 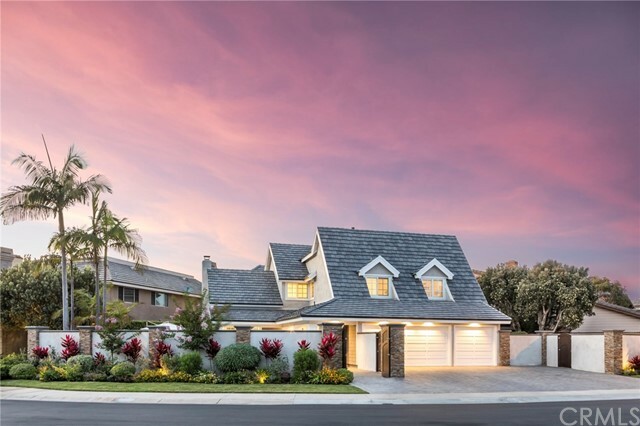 The house features gorgeous curb appeal, ultra high ceilings with unique details and accents, custom wood built-ins, crown moulding, the nest system, finished closets, a three car garage, and many more upgrades and features throughout. 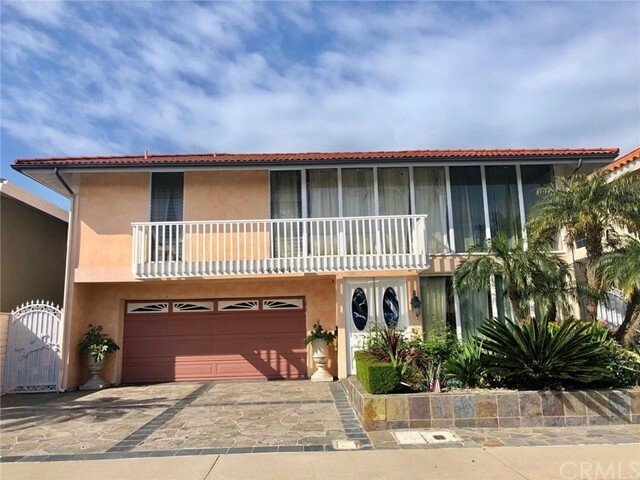 This property is walking distance to harbor view elementary school and a quick bike-ride to the beach and huntington harbor plaza shops and restaurants. 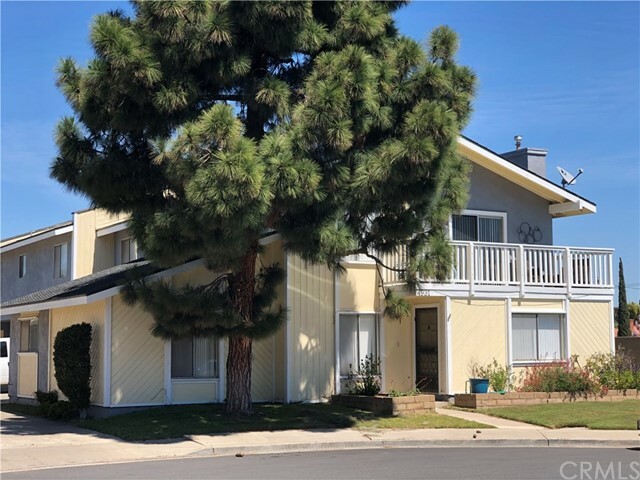 Here is a chance to own a 6 unit apartment building nestled on a cul de sac in huntington beach. Premier rental area with multiple grocery stores within walking distance, 2 starbuck's, many restaurants, and only about a mile from the beach. 5 of 6 units have their own garage and the laundry area is equipped with coin operated laundry for additional income. Rents are below market, giving lots of upside to this property once those get to market levels.